UPDATE: In a comment for CNET, Google stated that Fuchsia is "one of many experimental open-source projects," developed at the company. There was no comment on the possibility of the new OS replacing Android. 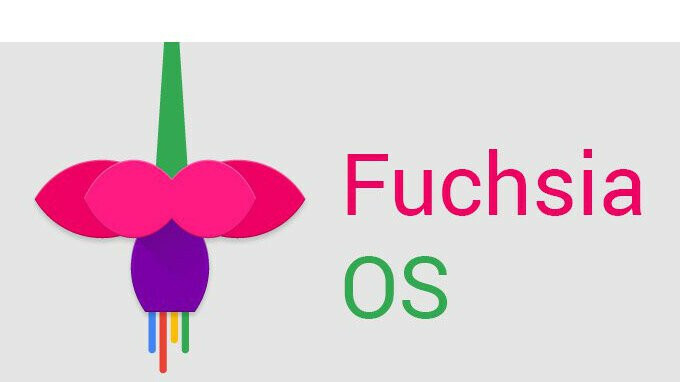 There have been persistent rumors surrounding Google's Fuchsia OS. The claims originally were that the OS was planned to replace Android. Then, it was going to unify Android and Chrome OS. Now, a report claims that the dedicated team for Fuchsia OS has grown considerably at Google and the aim isn't just to replace Android and Chrome OS, but for Fuchsia to be the OS that runs all the gadgets that Google makes. According to a new report, the Fuchsia OS team at Google is now more than 100 members strong and insiders allegedly claimed the ultimate aim is to have Fuchsia OS replace Android and Chrome, but also to run on smart speakers and other gadgets. Fuchsia will also break from Android in important, but interesting ways. Fuchsia is supposed to have voice commands built into its core rather than tacked on like it has been with Android. Fuchsia will also stop using the Linux kernel in favor of the Zircon, which may help with legal issues around Android's use of Java, but might also make it more difficult to integrate the entire Android ecosystem. The report also noted Fuchsia has certain privacy measures at its core, which could hinder Google's ad business. Still, the project has the blessing of Sundar Pichai. Google's vice president of design, Matias Duarte, is reportedly working part-time on the project. And, the original report claimed the Fuchsia team wanted its OS to become Google's one true OS in five years, but Google has since denied that there is any timetable set for Fuchsia. Given the early software builds we've seen around, Fuchsia certainly seems interesting, but it also does appear quite far off. Even five years feels like too short a period for an OS that would need to replace an ecosystem running on billions of devices with millions of compatible apps. It'll be fun to watch the progress though! No one ever plans their own demise, but Google ought to be careful. It's sad to learn Google to leave Linux ecosystem, and aim to kill their successful Android and ChromeOS. It's a bad bet tbh. On the contrary, it may be their best option in the long-run. The long-standing argument from a small-but-loud minority has been that Linux is an unauthorized copy of UNIX, and their proponents and allies have been gaining ground in recent months and years in many places around the world. Fuchsia is the answer to this situation... once Google completes their transition to Fuchsia (however many years away that may be), they will no longer have to hemorrhage money in the defense of Linux and its openness. Yes, it will be sad to see Linux (and thus Android, as well) go, but it was born into this controversy, its openness fueled both the controversy and the benefits to consumers, and the same controversy will seal its fate. Whether you believe that Linus Torvalds was a humanitarian, or a thief, or maybe a little of both, the fact is that giving away a UNIX-like OS is not good for business, even though it may generate further business as it gets developed. The developers of UNIX-based OS's do claim that they have been hurt by the availability and similarity of Linux, and that their losses are both measurable and large. The real question is this: will Google finish their Fuchsia OS in time to avoid open-source Android being ripped away from them by the UNIX-licensing purveyors? To follow that up, are open-source projects going to take a hit as a result? I doubt that Fuchsia will be open like Android was. Sorry for the double post again... hopefully I have a fix for my browser that will help. And this is why I purchase Apple products. Umm, how is this innovative? A whole new operating system tuned to modern hardware? Lol... modern hardware. Really though? Does Android not run on "modern hardware" now? Give me a break... let the damn software see the light of day before calling it the second coming. No, it's not the second coming. It's just being innovative. Let the damn software see the light of day before criticizing it and telling people that's why you purchase Apple products. How am I criticising it? If anything, I'm being the rational one here; skepticism is important. You aren't criticising it, but you are commenting on emjoigently for jumping the gun on an OS that hasn't seen the light of day yet. But the same could apply to Foxgabanna, who does criticise it. Foxgabanna is a straight up iPhone zealot without any objectivity to speak of. Him dismissing this project is entirely within his MO, and that's why I don't respond to him. Also, the word "innovative" is thrown around way too often on this site. People were calling Bixby innovative a year ago. Like... what? An innovation is something that adds to the consumer experience OR changes the way consumers can experience something. Palm OS, the original iOS, and Android are innovative because they changed the way we interacted with our phones and what said devices were capable of. We don't even have a working demo and people are already clamouring about it like it's one of the big three, when we have no evidence of that. An operating system that can be used on most device form factors seemlessly? Just like the one they have now? I wouldn't say that's it's seemless as of now but it could improve. Dude, are you saying that Android lags most of the time? I swear people on this site give me the most asinine responses. WHERE in my comment did I say Android lags most of the time? NONE of the phone I have ever bought lag, both iPhone and Android. What I said in my comment want supposed to imply that the cross-platform ecosystem between ChromeOS and Android can be smoother and allow the same type of synergy the Pixel has with ChromeOS with other Android brands. Maybe it's you that is unable to express yourself. "how is this innovative?" you: "An operating system that can be used on most device form factors seemlessly?" "Just like the one they have now?" - this is question about Android you: "I wouldn't say that's it's seemless as of now but it could improve." You have said it twice: Google's OS (Android) is NOT an operating system that can be used seamlessly (=without interruptions), which means Android has interruptions (or lag). "form factors" are 3" devices and 7" devices, phones and tablets. Think before making dumb statements, because - as I have shown - the only asinine comment is your own. I did not say ANYTHING about lag ANYWHERE. Making ignorant assumptions like that is what makes your response asinine like I stated earlier. I literally gave you an explanation of what I meant in my first comment, which talks about synergy and had NOTHING to do with lag. Also, FYI, Google has MORE than one operating system not just Android. And "device form factors" equates to PHONES, TABLETS, LAPTOPS, and MORE. I really don't see the point why I would have to explain this to ANYONE except for the people who can't put two and two together and apparently you're one of them. If you're going to continue to be ignorant, don't reply. AT ALL. I don't take imbecility lightly when it comes to ignorant people like you. just improve the current Android then, no need to throw everything and build a brand new OS from scratch. This is innovative in the way that Fuchsia should support a multitude of programming languages, it should be able to run iOS and Windows apps as well for example making it a lot easier for developers when it comes to cross platform development. Being built from the ground up it also does away with some of the resource straining Android fundamentals which would benefit performance. It's an ambitious project, but if they manage to pull it off, you're looking at something that iOS would have a hard time to compete with. The question is: if it does come to fruition, how will Google bring it to the masses? The trouble they're in with the EU has already pushed Google to reconsider how they allow use of Android. Fuchsia might be something exclusively to Google products or a full package OS that needs to be licensed by OEMs in the future. It's interesting to see how Android vs Fuchsia will unfold. Apple innovate OSX and IOS, Google bought Android doesn’t written Android from scratch even so tell me who’s the innovate?!. TouchID has been bought, FaceID has been bought, doesn't mean they weren't innovations from Apple. OSX is based on Debian but doesn't mean Apple didn't innovate in MacOS. Besides, you can't compare the Android that Google bought to what they made it now. Actually this is perfect. Make a better ecosystem. They did just get hit with a 5 billion dollar fine. So bringing a successor to Android and chrome while making it better seems logical and legit. Honestly done right. It's really a name change with a better system. Which they can advertise in the simplest of ways. Honestly you have to innovate in this world. No matter what brand you are. You can fall.